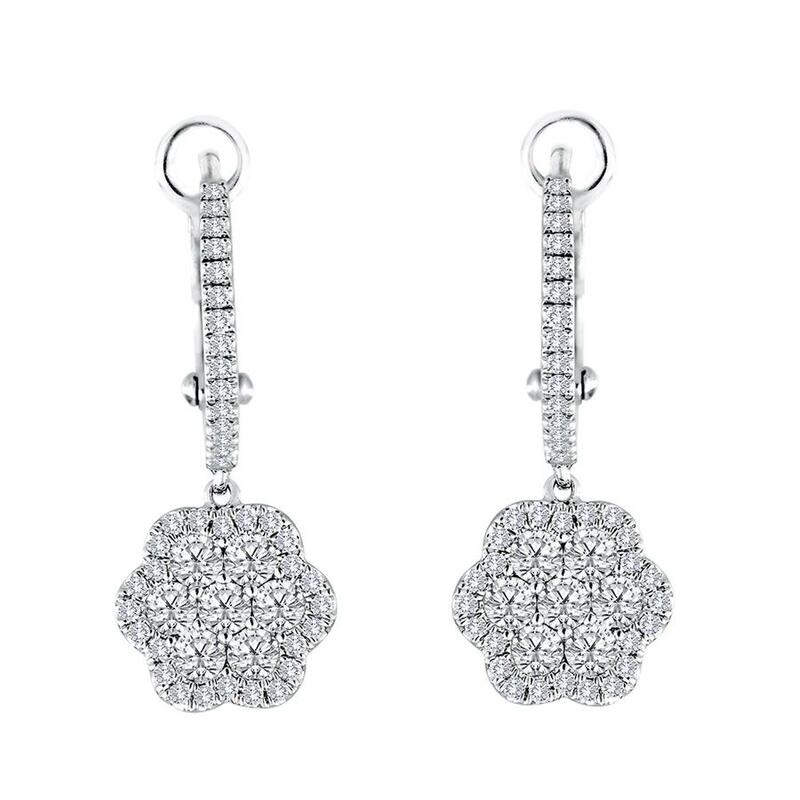 Diamond Flower Drop Earrings. 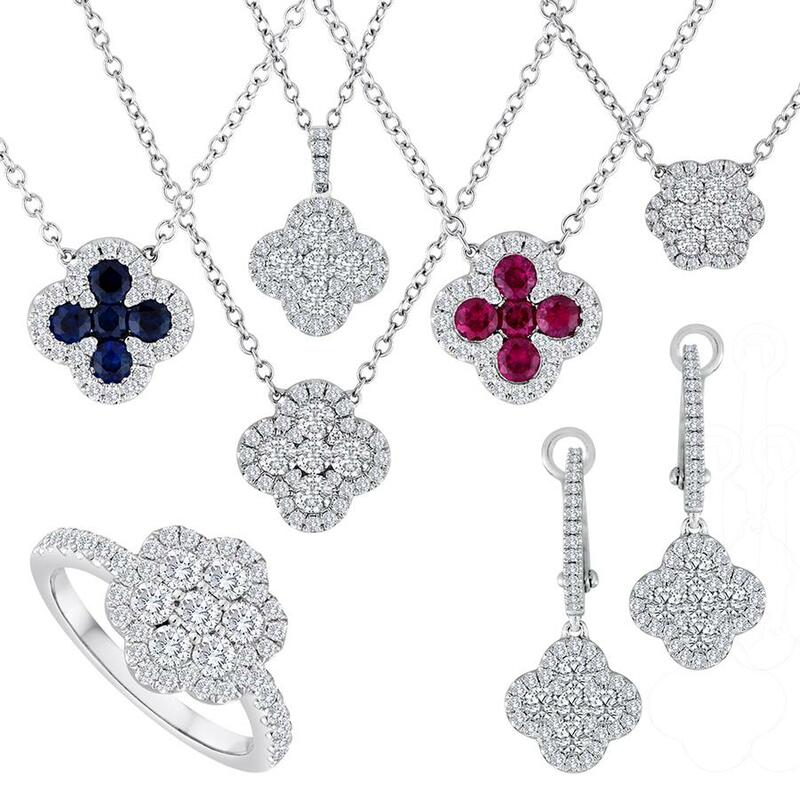 These earrings have a cluster of diamonds formed into a flower shape. These earrings are enhanced by a diamond bail.